Smaller, lighter, more powerful, and easier to service, the Yamaha TR-1 HO engine is a significant upgrade for best-selling WaveRunner VX models, including the new 2016 VX Limited. 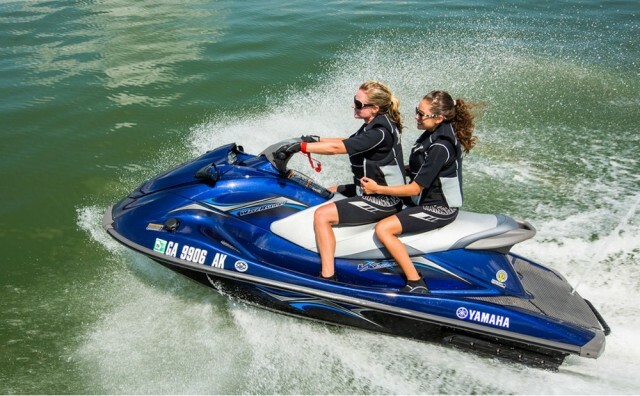 The new Yamaha TR-1 HO is the engine of the future for Yamaha WaveRunner watercraft. Revealed last summer by Yamaha but making its public debut at the Miami International Boat Show, where it won an Innovation Award, the TR-1 HO will power 2016 WaveRunner V1 Series and VX Series models. The TR-1 HO design focus is power density–extracting as much power as possible from a very compact and light-weight powerplant that also meets the cost objective of the entry-level V1 and step-up VX models. We interviewed a Yamaha expert and shot the short video below, to give you a first-hand look at this engine. 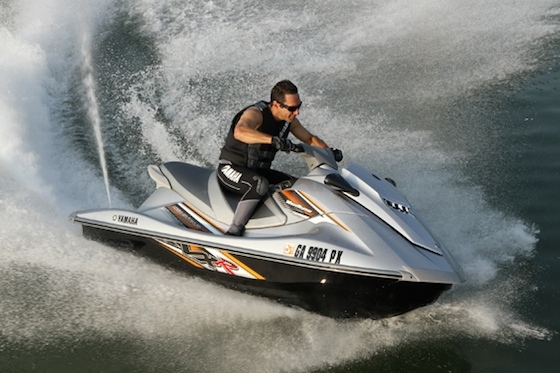 The TR-1 will replace the MR-1 engine in the WaveRunner line. Engines age faster than dogs, and retirement for the MR-1 is long over-due. The 1052cc, four-cylinder MR-1 debuted in 2002-model WaveRunners and was the first four-stroke personal watercraft engine. With output of about 110 HP, the MR-1 has been a reliable engine but it had a couple of issues. To make its power rating, the engine had to rev out to 10,000 rpm, so it was rather busy and noisy and required a gear-reduction unit between the engine and the pump shaft to lower its output rpm. Originally designed for a motorcycle, the MR-1 was also tricky to service–the oil filter was deep in the bilge of a watercraft, for example. 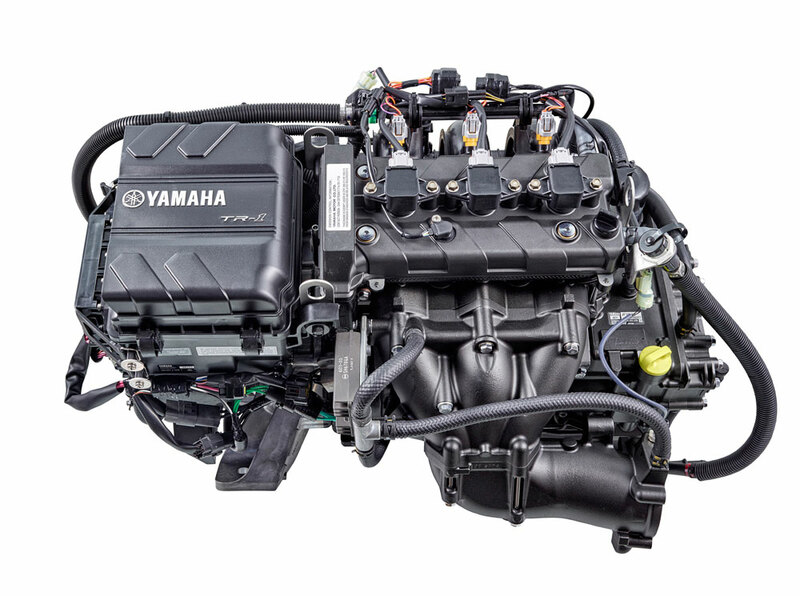 The new Yamaha TR-1 HO engine for WaveRunner watercraft is more compact, lighter and more powerful than the engine it replaces. Service points are easy to reach, including the oil filter visible on top of the engine to the right in this image. The TR-1 HO addresses every issue afflicting the MR-1. Benefiting from more than 15 years of advancement in computer-aided design, casting technology and metallurgy, the new engine is 20 percent lighter and 40 percent more compact, yet makes 13 percent more power than the MR-1, according to Yamaha, and has a peak rpm of about 7800. With three cylinders, the TR-1 HO displaces 1049cc and has a bore and stroke of 82mm x 66mm, so it’s a little less “over-square” than the 76mm x 56mm MR-1. At 160 pounds, the TR-1 HO weighs about 30 pounds less than the MR-1. Eliminating the gear-reduction unit lopped off significant weight, according to Yamaha. The new engine should make about 130 HP, although Yamaha by policy does not publish horsepower ratings. 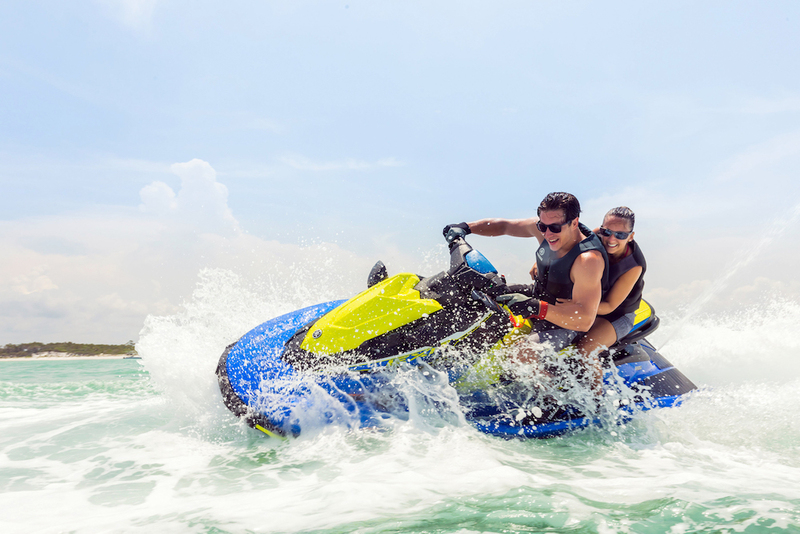 The new Yamaha WaveRunner VX Limited is packaged with a number of accessories including a color-matched single-person tube and a tube holder that can be used to secure the tube to the back of the VX. The TR-1 HO looks dramatically smaller in the engine bay of a WaveRunner VX, and Yamaha has addressed key service issues. The oil filter is now mounted on top of the engine. Stick coils are located directly over each spark plug. The air fliter is tucked up close to the front of the engine, and all electronics are mounted high where they will be easy to service and are away from the wet bilge. 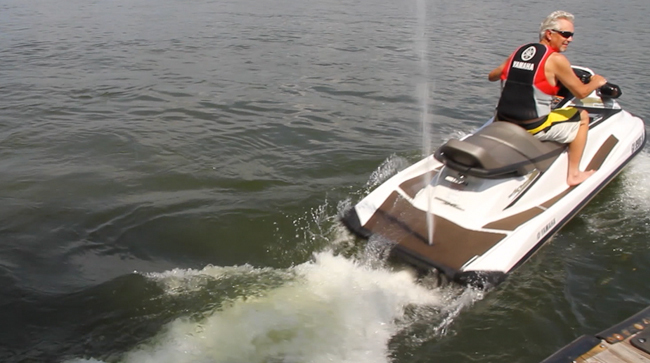 I have not had a chance to test a WaveRunner powered by the TR-1 HO, but the extra power will be welcome in the VX models, which have grown in size and weight in recent years. For 2016 the VX line has also grown by two models. The new three-passenger VX Limited ($10,889) is the most-deluxe VX WaveRunner ever, with the deep-bolstered Cruiser touring seat, Yamaha RiDE electronic forward/neutral/reverse control, pull-up cleats, a 12-volt power port, and a special cover with a 5-watt, solar-powered battery charger. 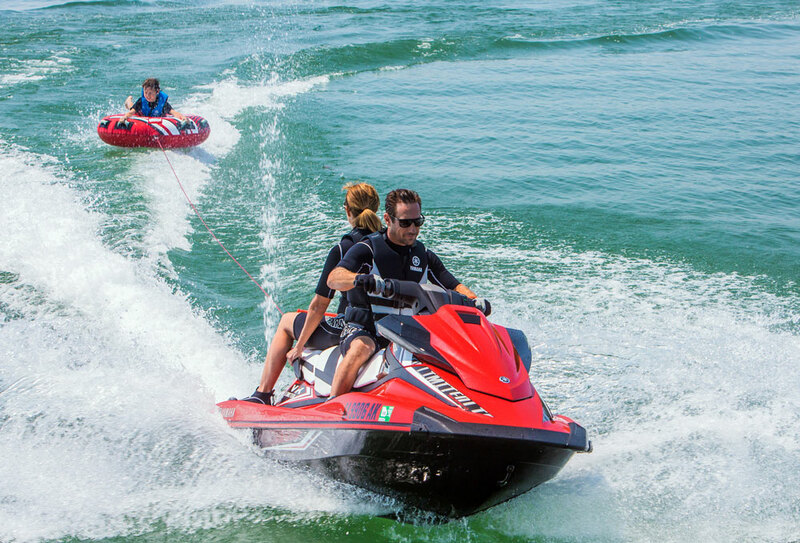 The VX Limited also comes with an accessory pack that includes a color-matched single-rider tube and tow line, a tube inflator, a tube holder to secure the tube to the VX boarding platform, and a rope bag and a dry bag. Also new and deluxe is the VX Cruiser HO ($11,099) powered by the 180-hp 1.8-liter engine that propels the high-performance WaveRunner VXR model. 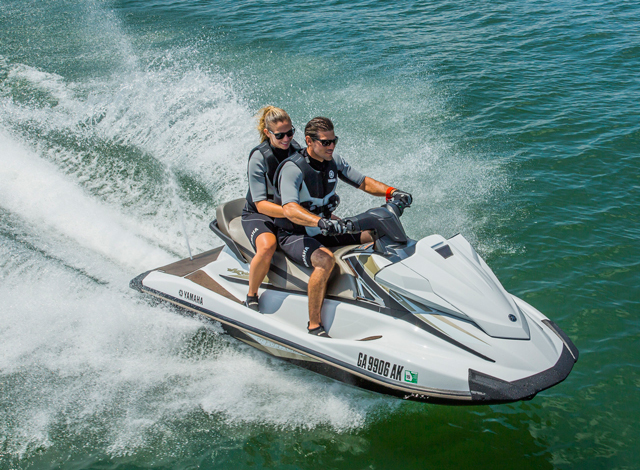 Equipped with the luxurious Yamaha Cruiser touring seat, the VX Cruiser HO also features the Yamaha RiDE electronic forward/neutral/reverse control, and Cruise Assist/No Wake Mode speed controls.